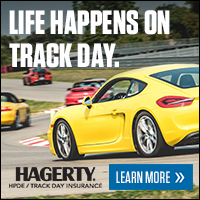 A unqiue new addition to IMG's 2014 calendar is a two-day Race, HPDE, and TT weekend at Lime Rock Park. The fun kicks off on Friday with two-day On-Track HPDE & Time Trials at the fast and historic Lime Rock Park. New for this year, we are also sanctioning a 1-hour SprintDuro Race Weekend - that's a short Sprint Race on Friday, a 25 minute Saturday Sprint Race for everyone, and a full-hour Enduro for anyone who wants to go the distance. This weekend's schedule will offer plenty of track time for all three groups. The DE and TT groups will alternate as usual, with short breaks sprinkled throughout the day to make sure everyone has time to hang out, work on your cars, and debrief with instructors. For the racers, we are offering a late start with a Friday afternoon Practice / Warmup and a longer Qualifying on Saturday, culminating in the 1-hour SprintDuro feature on Saturday afternoon. All makes, models, and car classes are welcome! In-car and classroom instruction is provided for all novice drivers, and is available for intermediate and advanced drivers. Both single and multi-driver teams are welcome for the Endurance Race. Race and Time Trial licenses from SCCA, NASA, IMSA, and other recognized sanctioning bodies are accepted. All cars (HPDE, TIme Trial, and Race) at this event must conform to the 88dB sound level limit at Lime Rock Park. We will be taking sound level measurements at our May 26th Get Loud! at Lime Rock event for any driver who wishes to have a sound level check done before this event. Charter Members and Supporting Members receive an additional $25 off of the regular member price and receive free transponder rentals. For more information about the Independent Motorsports Group and other events, head to www.imgracing.com. Thanks to Shaffin and the staff the Wake Robin Inn all IMG members and participants get $30 off per night on any room. Regular room rates range from $199 - $279 before the discount, and come with compliementary breakfast, WiFi, bottled water, and long distance. 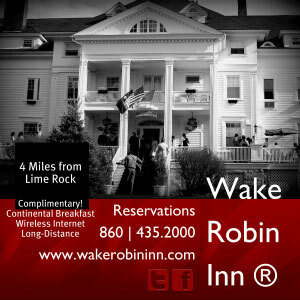 For details and to reserve a room, call 860-435-2000 or email info@wakerobininn.com.